The Zebra 800033-801 K black monochrome ribbon delivers crisp sharp text and clear monochrome images and barcodes. Black on the front or front and back black. 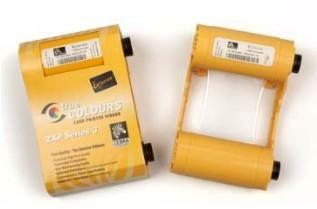 The Zebra800033-801 ribbon is for use with the ZX3 Series Zebra ID card printers.